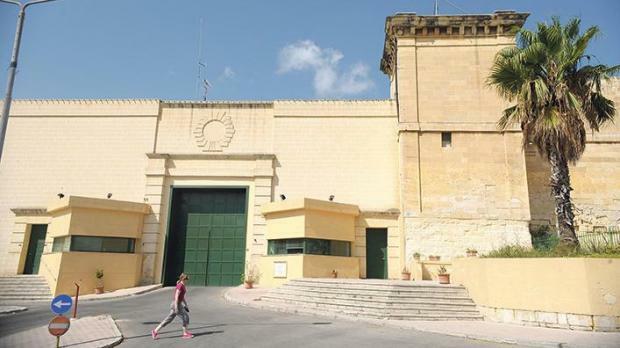 The inmate who died in prison early on Wednesday morning had complained of chest pains prior to losing consciousness, the Times of Malta was told. Sources said Steven Farrugia, 34, was already dead by the time an ambulance arrived at Corradino Correctional Facility despite efforts by warders who administered first aid. Mr Farrugia died after losing consciousness in his cell in Division 12, the prison administration said in a short statement. He was found unconscious soon after he said he was feeling unwell and asked for pain medication. Correctional officers administered first aid until the inmate could be taken to hospital, where he was certified dead. The prison administration said it had opened an internal investigation to establish whether any officers had ignored his initial complaints about chest pains. The sources said chest pain was the most frequent complaint by prisoners and people taken in custody. Duty Magistrate Gabriella Vella was informed about the case. She appointed a number of experts to assist her in the inquiry into the death. A police investigation is also under way. Mr Farrugia is the second man to die in prison in just over two weeks. A 26-year-old inmate was found dead in his cell by prison warders while doing their morning rounds on December 11. A magisterial inquiry and a police investigation are ongoing. The sources said Mr Farrugia was in prison over a number of convictions, including drugs and theft. His latest conviction, for which he was jailed 42 months, was handed down after he was found guilty of stealing a car belonging to a friend just minutes after they were drinking together at a bar and had even bought each other a drink. The car was unlocked. Mr Farrugia, who stole the car during the operative term of a suspended sentence, had crashed the vehicle into a wall as he drove off.